The newly launched program “Facilitating access to work for Vulnerable Populations in Athens” aims to support refugees and asylum seekers in improving their living conditions by finding a fulfilling job position through the Career Counseling Service of Generation 2.0 RED, with the support of the International Rescue Committee. The program includes the reinforcement of one to one career counselling sessions, along with the organisation of a series of job readiness, soft skills and hard skills workshops. 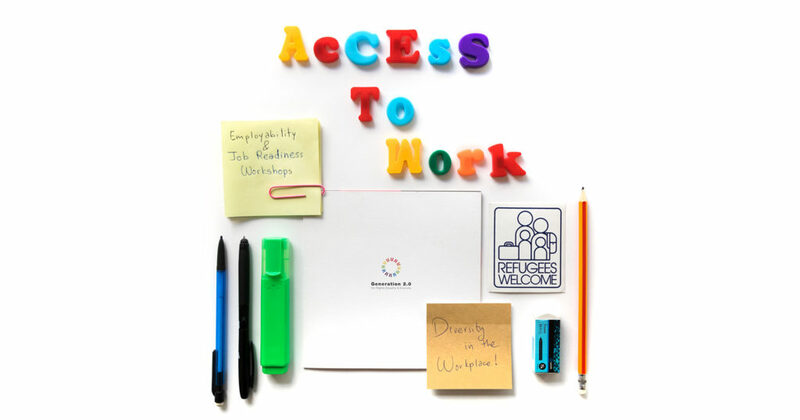 In September a significant number of workshops will take place aiming to empower refugees and asylum seekers with information, tools and the development of skills in terms of employability. Empower your employability skills and improve your chances on finding a job by learning how to write a powerful CV and a motivational letter! Explore the most common ways of seeking employment and get prepared for your next job interview in the best of ways. Soft skills are the key to maintain a job and be successful in the workplace. But what are the soft skills and is it possible to develop them? On these workshops we will focus on how to communicate better with colleagues and supervisors, while working efficiently with them. In addition, we will also explore ways on how to manage our time and deadlines better, as well as how to successfully set goals. What is the minimum salary in Greece and what does the gross salary include? How will I be paid when working at a house or as agriculture worker? Who must do tax declaration? Those questions and many more will be answered at this workshop that focus on the management of financial matters and information on salaries, taxes and, in general, the financial aspect of employment.